Check out THE BEST POSSIBLE offers on the web. Some of the demonstrated pictures are samples for two or more properties in the same building or complex. These shown sampled properties may differ in choice of decor and or furnishing, but they principally illustrate similar standards, and are fair examples of the properties which are aimed to be representing. 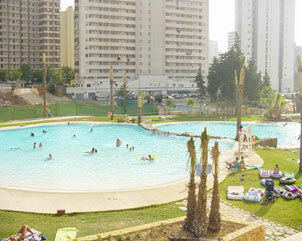 Most swimming pools associated with our properties may be closed between October and May. All prices are subject to change at any time and without prior notice. 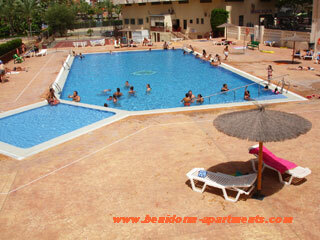 Centrally situated in the Rincon de Loix area, beside all shopping and entertainment amenities. - Twin beds that pull down in the living room apart from one studio, which has a double bed in the enclosed balcony. Sleeps 2. - The kitchen has a full cooker, fridge and automatic washing machine. - Balcony has the sun most of the day. 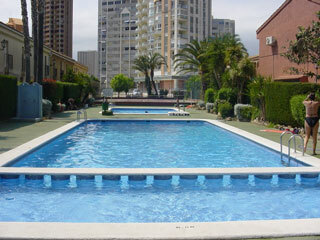 Situated in Rincon - De - Loix area, approximately 5 minutes walking distance from the Levante beach. - Enclosed balcony. Has the sun most of the day. A very large one bedroom apartment situated in the flat section of the Rincon - de - Loix approximately 8 minutes walk from the Levante beach. - Fully equipped and well fitted kitchen with vidro-cermic hob, electric oven, fridge-freezer, microwave oven, automatic washing machine, etc. 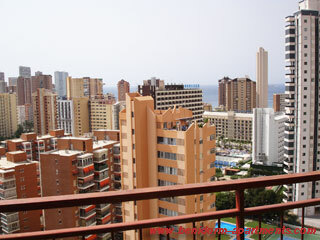 - Two large open balconies which catch the sun all day and with panoramic sea and mountain views surrounding the Rincon-de-Loix, Levante area of Benidorm. - Enclosed glazed-in sun room, ideal for catching the winter sun. Situated in Rincon - de - Loix area, approximately 10 minutes walking distance from the beach. - Small complex of bungalows and apartments with three swimming pools, tennis court, well maintained gardens, Children's play ground, small shops, etc. - Bedroom has twin beds with a sofa bed in the living room that converts into a double bed, sleeps maximum four. 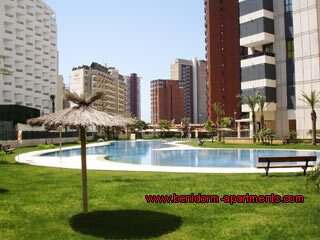 Centrally situated in Rincon de Loix area, approximately 8 to 10 minutes walking distance from the Levante beach. Close to all amenities. - The bedroom has a double bed with 2 wall unit single beds in the living room. - Fully fitted kitchen with cooker, fridge-freezer, automatic washing machine. - Good size open balcony which that has the sun most of the day. 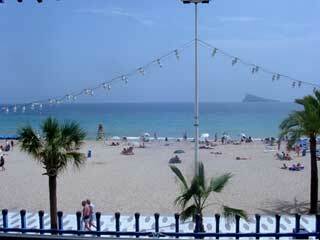 Situated in Rincon - De - Loix area, approximately 7 minutes walking distance from the Levante beach. - The bedroom has twin beds with a sofa bed in the living room that makes into a double bed. 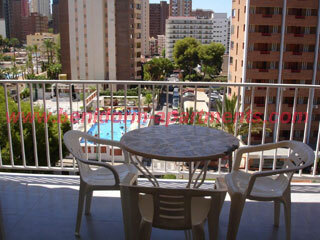 - Glazed balcony which overlooks the swimming pool and has the sun most of the day. 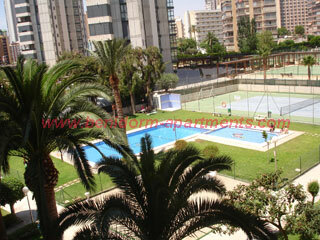 - Centrally situated in the flat section of Rincon de Loix area, beside all shopping and entertainment amenities. - Bedroom has a double bed with a sofa bed in the living room. Sleeps 4. - Fully fitted kitchen with full cooker, fridge and automatic washing machine. - Large balcony which gets the sun most of the day. - Satellite UK TV with free view channels. 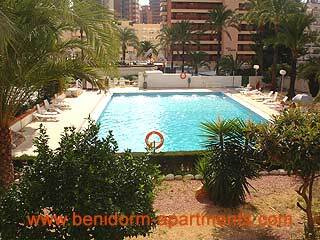 Centrally situated in the flat section of Rincon - De - Loix area of Benidorm very close to all amenities such as supermarkets, health centre, chemist, bars, cafe's, restaurants, indoor market (Mercaloix) and Benidorm Sunday market, approximately 7 minutes walking distance from the Levante beach. 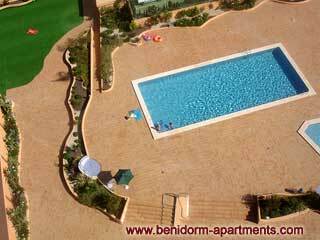 - Good size swimming pool with plenty of room for sunbathing. - American style fitted kitchen with three ring vitro-ceramic hob, fridge-freezer, microwave automatic washing machine. Built and furnished to a good standard with a lot of attention to details such as sound proofing, etc., situated in Rincon de Loix area, approximately 10 minutes walking distance from the beach. - The bedroom has twin beds with a sofa beds in the living room. - fully fitted kitchen with hob, oven, fridge-freezer, microwave, etc. - Utility room with automatic washing machine. - Large lake style swimming pool, children's pool with lots of water play facilities & sunbathing space. Apartment is renovated and furnished to a good standard, located on the flat section of the Rincon de Loix with an unobstructed and panoramic sea view & immediate access to restaurants, bars, shops, etc. 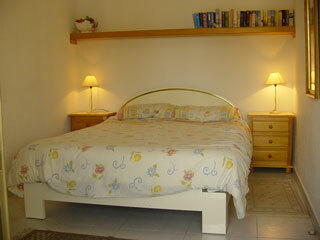 - The bedroom has twin beds, with a sofa bed in the living room that makes into a double bed. - Small but well fitted kitchen with a two ring ceramic hob, fridge/freezer, automatic washing machine, microwave oven, etc. 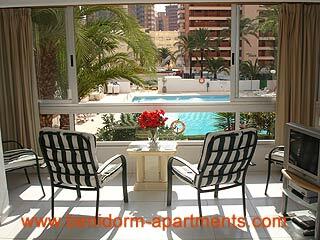 - Open balcony with 180 degrees uninterrupted sea view which has the sun most of the day. Newly built and fully furnished to a high standard. It is centrally situated in the Rincon-De-Loix area, approximately 5 to 8 minutes walking distance from the Levante beach and around the corner from the outdoor market on a Wednesday and Sunday. The complex has well landscaped gardens and shaded walk ways. - Bedroom has a double bed with a sofa bed in the living room that makes into a double bed. - Well fitted kitchen with hob, oven, fridge-freezer, automatic washing machine, tumble drier, etc. - Well fitted shower room with high pressure jet shower. - Large lake style swimming pool. - Indoor acclimatized swimming pool. - Tennis / paddle courts. - Hot & cold air-conditioning. - Sleeps maximum 4 people. 4All prices are subject to change at any time and without prior notice. Recently totally refurbished to a high standard, situated in Rincon - De - Loix area, approximately 5 minutes walking distance from the Levante beach 2 minutes away from restaurants, bars, shops, etc. - Bedroom has twin beds with a sofa bed in the living room that makes into a double bed. - Small but well fitted kitchen with hob, fridge-freezer, automatic washing machine, microwave oven, etc. 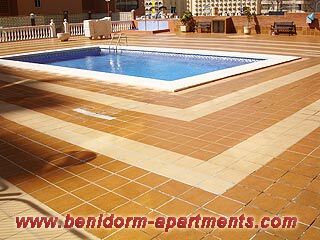 Well furnished 2 bedroom apartment, centrally situated in Rincon - De - Loix area, approximately five to eight minutes walking distance from the Levante beach with the views of hotel Los Pelicanos gardens (where the Benidorm popular television series is recorded every year). - Master bedroom has a double bed. - Second bedroom has twin beds. with a sofa beds in the living room. - Fitted kitchen with hob, oven, fridge - freezer, automatic washing machine, microwave oven, etc. - Well fitted bathroom room to the side of the double bedroom. Recently renovated large apartment, situated in a very desirable section of the Rincon - De - Loix area approximately one minute walking distance from the Levante beach. - Good size open balcony. - Large master bedroom has twin beds and a double sofa bed. - Large fully fitted kitchen with hob, fridge / freezer, automatic washing machine, etc. - Local & satellite (English free-view) TV, DVD player. - Sleeps maximum of 6 people. Fully air-conditioned and well furnished two bedroom duplex, situated in a quite but extremely scenic hill side area of the Rincon -De-Loix approximately five minutes walking distance from a very beautiful bay next door to the Levante beach (approximately 10 minutes walk to the Levante beach). - second bedroom has twin beds with fitted wardrobes. -Well furnished living room and dining area. - Balcony with breathtaking mountain and sea views. - Fitted kitchen with hob, fridge/freezer, washing machine, etc. 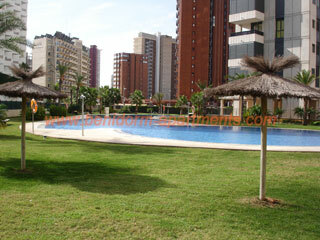 - Community swimming pool surrounded with panoramic sea view. 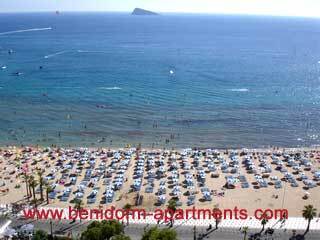 Large furnished Levante beach front apartment with an unobstructed sea view & easy access to restaurants, bars, shops, etc. - fitted kitchen with hob, fridge / freezer, washing-machine, etc. Fully air-conditioned and well furnished three bedroom duplex, situated in a quite but extremely scenic hill side area of the Rincon -De-Loix approximately five minutes walking distance from a very beautiful bay next door to the Levante beach (approximately 10 minutes walk to the Levante beach). - Master bedroom has a double bed and en-suite bathroom. - second & third bedrooms have twin beds with fitted wardrobes. - Well furnished living room and dining area. 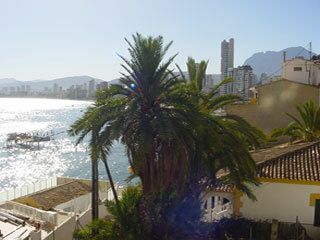 - Balcony with breathtaking mountain and sea views with a small paddling pool. - Fitted kitchen with hob, fridge/freezer, dish-washer, washing machine, etc. 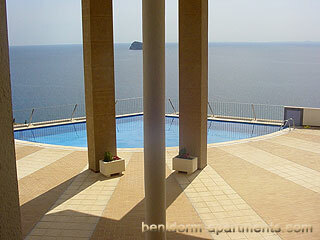 - Swimming pool surrounded with panoramic sea view. 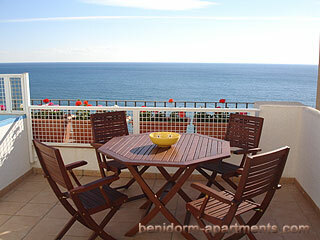 Situated in Rincon - De - Loix area, approximately 10 minutes walking distance from the Levante beach. - Small complex of one, two & three bedroom terraced houses and apartments with three swimming pools, tennis court, pool side bar/cafe, well maintained gardens, Children's play ground, small shops, etc. - The three bed roomed house has a third bedroom with the double bed. - Fitted kitchen with cooker, microwave oven, large fridge and automatic washing machine. - local TV. Some of the houses with DVD.